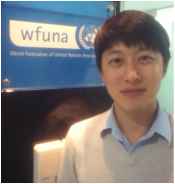 Joseph Jisong Lim is the Partnership Officer at WFUNA's office in Seoul. 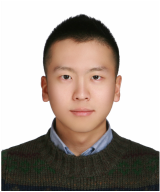 His role is to manage and develop partner relations as well as to devise and implement innovative projects for WFUNA. His past experience includes scaling up a nation level education integration and rural development project in the Amazon with KOICA and the Ecuadorian Ministry of Education, receiving the Award for Educational Innovation. He also worked in management consulting and executive coaching/training for many Fortune 500 firms. In his practice as a consultant, he developed a problem solving model that is currently being used by Samsung Electronics to improve their products while building creative capacity. He holds a Master of Public Administration in Development Practice from Columbia University. 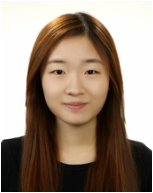 Rufina Hyunjin Kim is the Education Officer at WFUNA's Seoul office. She joined the team in September 2014 and is currently responsible for the implementation of education programs in the Republic of Korea. Rufina previously worked in the POSCO LED business planning team for over 3 years, being in charge of planning business strategies and establishing budget plans. She was nominated as an honorary ambassador and has been a major member in vitalizing healthy corporate culture through diverse workshops, campaigns, and restructuring. Along with corporate background, she has been involved in international issues over the past 7 years participating in national and international debate championships, Model United Nations, and volunteering in diverse non-profit organizations. Rufina holds a Bachelor of Arts in International Studies from Hanyang University.